Peter Pumm is former Austrian player. A very offensive side back who could play on both left and right side. He was very mobile player, constantly supporting offensive actions, had good passing range and solid pace, decent dribbling and always moved in the empty space to receive the ball even looking as the team's playmaker. Pumm began playing football at the traditional club first Simmeringer SC and came after four seasons at FC Wacker Innsbruck to Germany to join Bayern Munich. From 1968 to 1971 he played for Bayern in the Bundesliga debut on 17 August 1968 (Round 1) in the 2-0 home win over the first FC Kaiserslautern, he scored his first goal on 12 September 1969 (Round 5) in a 3-0 home victory over Borussia Dortmund. Overall, the defender came on 84 missions, scoring two goals. Along with his compatriot Starek August 1969, he celebrated by winning the league title and the DFB Cup double. In 1971 he completed his successful years in Munich with a renewed success of the Cup competition and returned to Austria. 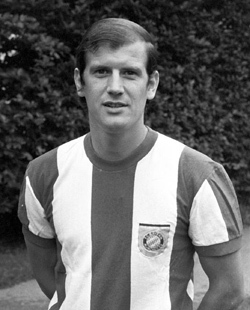 Player of the DSV Alpine Donawitz sensationally won the 1971 crown Pumm-election as Footballer Footballer of the Year. This is all the more remarkable because in all previous years, only two players in the big clubs Rapid and Austria Vienna have prevailed in this election. Between 1965 and 1973 was 19 times Pumm for use in the senior team. He made ​​his debut on 9 October 1965 in Stuttgart with the 1:4 defeat against Germany, his last game - he played from the 46th Minute for Heinz Schilcher - he played on 28 March 1973 in Vienna at the surprising 1-0 victory over the Netherlands. He scored his only international goal in World Cup 1974 qualifying match in a 2-0 victory against Sweden on 10 June 1972 in Vienna.